Contact page is very important for any blog or Website. Using this page your visitors and advertisers can contact for their purpose. You can attract them to your contact page by doing some tricks. One of the most used trick is to add floating contact button link. Using this you can make the your Contact page link attractive and look better which can impress your advertisers and also can increase your interaction with your loyal readers. 2. 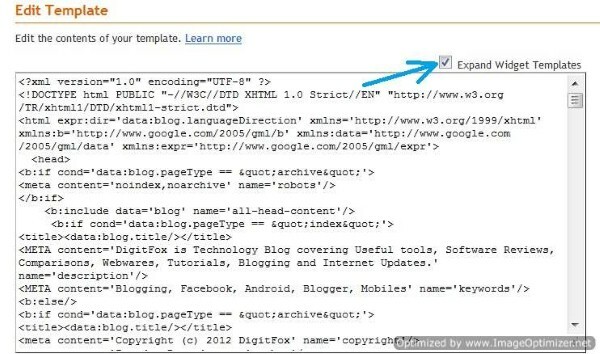 Simply check the Expand Widget Templates like in the screenshot given.